I’ve always been big on system monitoring when it comes to my PC Gaming rig’s hardware. Not just the temperature but every aspect possible in as many ways as possible. I’ve tried many applications but the one that really took the cake for me was actually an Android App called Remote System Monitor. It allows me to monitor my systems for the majority of phases of system tweaking. From overcloaking to tweaking an individual game, I can see the information that is relevant to whatever it is that I’m doing. As you may be able to tell, I run it on my tablet. I find the ability to customize the graphs and what information from what sources to be very handy. When I’m tweaking a game I can see exactly what is my performance bottleneck and furthermore when I adjust a setting I can see exactly what type of impact it had on the resource consumption of the system. Installation is simple. First install the Remote System Monitor Server on the PC that you want to monitor. 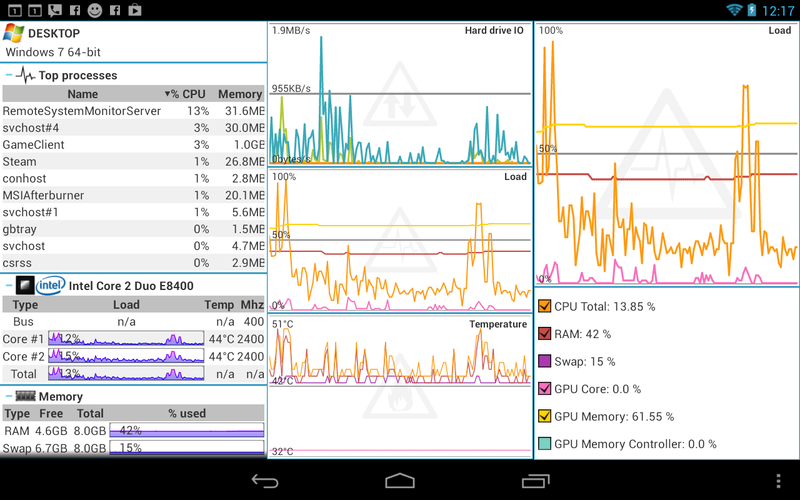 Then install the Remote System Monitor Client on your Android device. Ensure that your Android is connected to the same network that your PC is connected to. 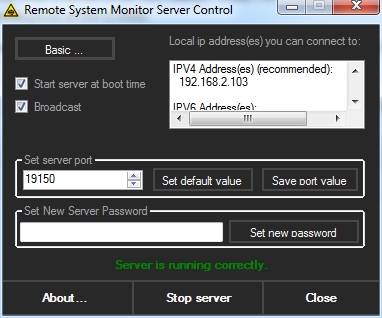 Then start up the Remote System Monitor Server Control program on your PC and configure it to your liking. 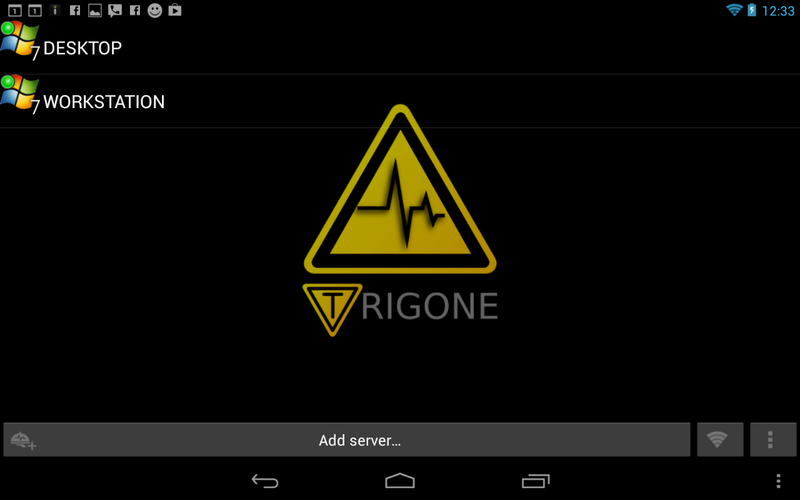 Once your Remote System Monitor server is up and running, open the Remote System Monitor Client on your Android device. If you are connected to the same network, the client should display the server’s computer name in the server list automatically. In my case, I have two computers that run the server so I see my two computers, as you can see below. Click on the server in the list and it will ask you to enter the server password that you specified. I typically check save password to make it faster in the future. And there you have it – a very full featured live system monitor that can be configured on the fly. What other tools have you found useful to monitor your system with?